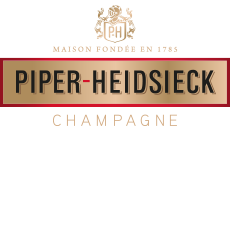 Piper Hiedsieck has a rich history, foundered in 1785 in Reims, its ambition from the start was to create a 'cuvee fit for a queen'. Today it maintains this high standard, providing fizz and a bit of sparkle to any office celebration or party. 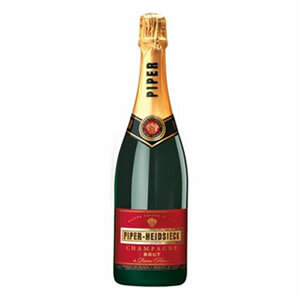 Get your Piper-Heidsieck from Zepbrook tomorrow: order before 5pm if you're in London (or the M25 area). Do you need champagnes that are not currently listed on our website? Contact us - we can source and deliver many other products for a competitive price. Call us now on 020 8752 0110 or enquire online. This full-flavoured champagne benefits from prolonged ageing deep in Piper-Heidsieck’s chalk cellars below Reims. With mainly Pinot Noir in the blend, this Champagne was created by master blender, the late Daniel Thibault, twice voted Sparkling Winemaker of the Year in the International Wine Challenge. Serve chilled.